No not ‘pin’. 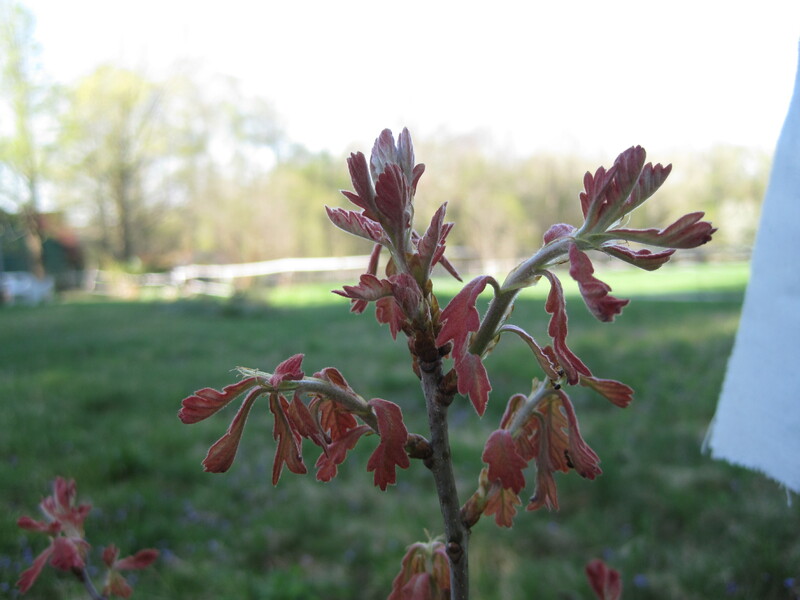 Actually, this is our baby white oak. A carefully found (that took a bit of doing thanks to the high deer population) offspring of the big white oaks down below the Royal Oak pasture. When I dug it up several years ago, it was about six inches tall with a tap root deeper than the shovel. Careful excavation was required. Today it is almost two feet tall (several years have passed) with multiple branches. Someday, it may rule the northwest lawn. Maybe in my nieces’ generation? 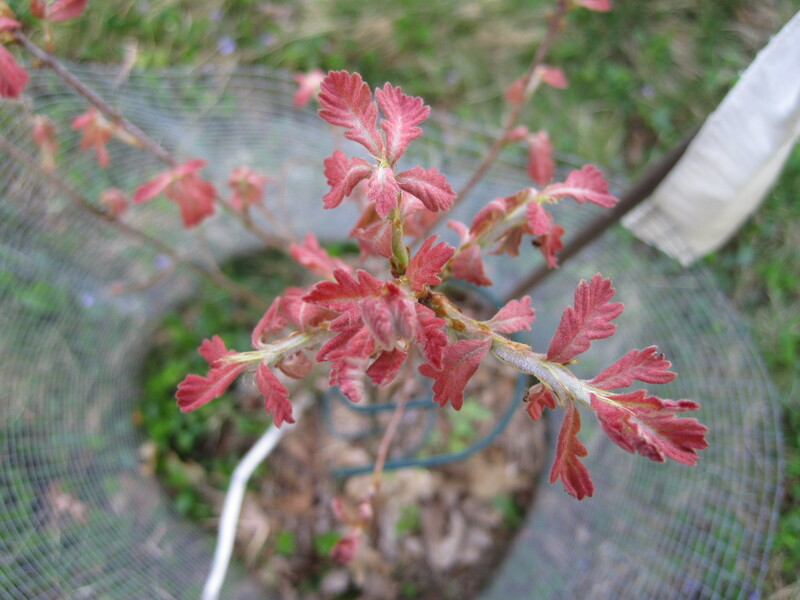 One of the reasons I selected it (aside from the repeat failure of commercial white oaks) was the spring color: rose pink. It should have lovely form as well, that will be told only by time.